On this date in 1960, La Scarpa ran this ad in the Long Beach Independent targeting the lucrative feet and toe loving market. You won’t find any Capezio shoes at 133 Main Street today, but you can satisfy all your Italian delicatessen needs at Angelo’s Italian Deli. 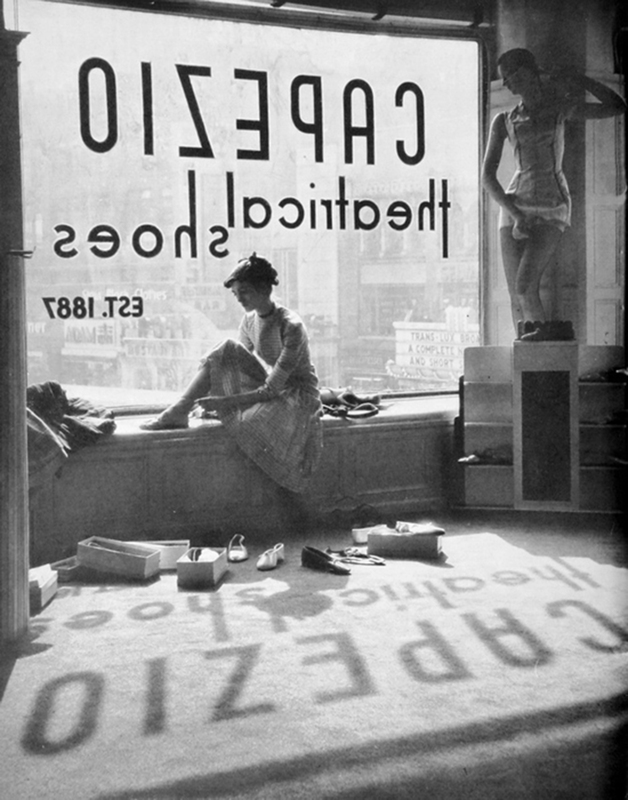 Capezio still sells shoes today — specializing primarily in dance shoes. You can find out more about the company’s 128 year history here, or, if you feel a retro hankering to wear a 1960 specific Capezio shoe style, the company offers a custom-made shoes service that will recreate the company’s past fashion glories for your specific feet and toes. This entry was posted in Seal Beach History and tagged 1960. La Scarpa, Capezios, dancing, get out your dance shoes frances!, Main Street, Seal Beach, Seal Beach History. Bookmark the permalink. Was wondering if anyone remembers the jewelry store on the corner of Main and Ocean where the Ice Cream Shop is now? I suppose it was about 1964 or up to 1970 or so. My deceased husband owned it, Dr, Richard L. Siggers. It eventually moved to Newport Beach. He bought a home in Seal Beach at 208 Ocean Ave from a Mr. Viscia(sp..?) His wife was a concert pianist. I believe he said, they were French. Purchase price was $112,000. It was next to the St, Josephs sisters of Orange home. That is still there, but when I sold 2006, ours was eventually demolished and the new style was more in order of the Jack Haley home on Ocean Ave, The mansions started on the Gold Coast. Audrey , of Audrey’s antiques was a favorite place to shop. Her house was across the Street from ours on Ocean Blvd., and is still there. A pilot and his wife lived next door to us on Ocean Ave, They sold to Mary and Dr. Randy Johnson. , then sold to , Hmm memory fails me on that__________________? The Brendells of course had one of the first remodels on our block. Early morning recollections. Off for somemore zzzzzzz’s.